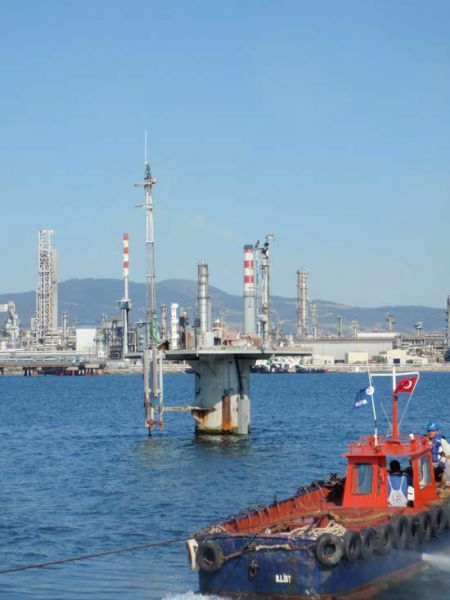 The delivered system consists of meteorological and hydrological sensors and data logging equipment for measuring parameters that are of importance for operations in the harbour. Meteorological sensors (wind speed, direction and air temperature) are mounted on a Sensor Cross Arm with a short mast that is placed on the roof of a nearby building (ATEX zone 2). A single cable connects all the sensors to the receiving station in the Harbour Administrative building. An RDCP 600 Current Profiler is placed in a bottom mounted frame on the sea floor at about 20 meters depth. It is connected to the Dolphine 8 pier, part of the offshore loading facility for large tankers, by a 200 meter underwater signal and power cable. This cable has extra cable protection. The RDCP 600 measures current speed and direction in several levels in the water column, including close to the surface. 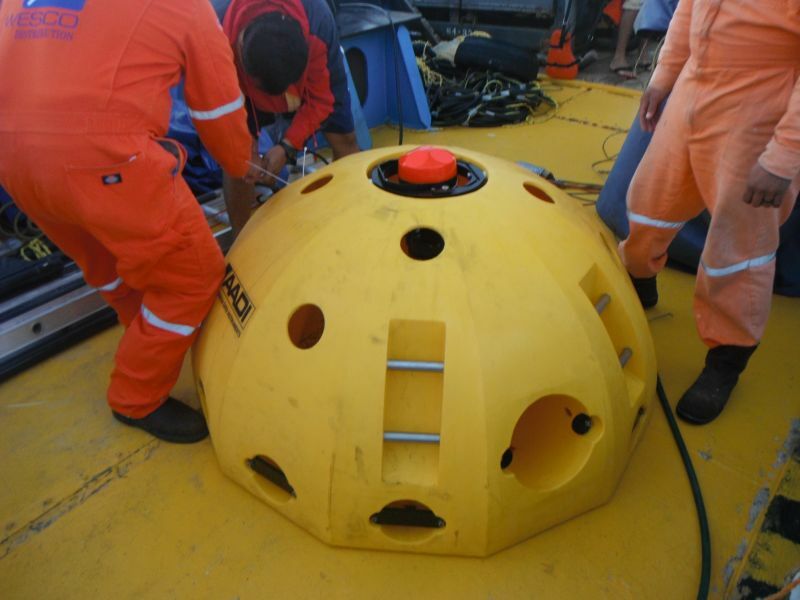 A WTR-9, Wave and Tide Recorder, is also mounted subsea on the Dolphine 8. The data logger of the shore station receives data from the RDCP 600 and the WTR-9 via radio modem. An ATEX zone 1 cabinet at the Dolphine 8 contains the interconnection between the units via a Galvanic Isolator and a Cascade Coupler. The latter triggers the WTR-9 to start a measurement cycle after receiving a data message from the RDCP. Data from both units are merged into a single message that is converted to ASCII formatted RS232 signals by a PDC-4/RS232 converter.